TUTV's public affairs talk series that explores the issues and events that shape our lives. From politics to social justice to student Adderall abuse and much more, we'll give you a broader view of the big stories that people are talking about…or should be talking about. 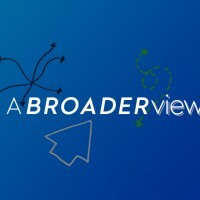 A Broader View is produced and hosted by Professor Karen M. Turner's journalism class. This episode takes on the state of race and gender in sports by examining the controversies surrounding Colin Kaepernick’s new Nike campaign and Serena Williams’ match against Naomi Osaka. Host Dan Bartels discusses the new Nike ad campaign featuring Colin Kaepernick which premiered at the NFL season opener. Joining Dan is Dr. Joseph Mahan, a Temple Sports Management Professor whose focus is on sports consumer psychology, and Chris Murray, a sportswriter, podcaster and host of the Chris Murray Report on WURD Radio in Philadelphia. Next, Haley Proctor discusses and analyzes the reaction to Serena Williams’ loss at the US Open. Williams, who faces discrimination as an athlete based on both her race and gender, was accused of cheating by the umpire during her match against Naomi Osaka and ultimately lost the game. Proctor is joined by Tina Sloan Green, Emeritus Temple Professor, former Womens Lacrosse Coach, and founder of the Black Women in Sports Foundation, and David A. Love, a Philadelphia-based journalist, to discuss the incident.